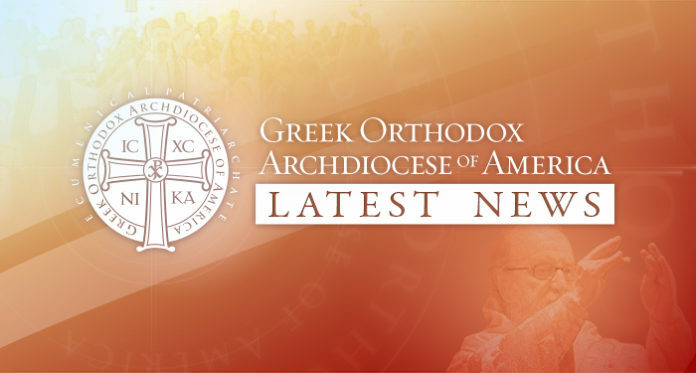 By the Grace of God, and under the leadership of His Eminence, Archbishop Demetrios of America, Geron of America, the Greek Orthodox Archdiocese of America (the “Archdiocese”) has completed a demanding restructuring process that advanced the financial stability of the Archdiocese. The Archdiocese is now projected to achieve a balance budget and generate additional funds that will be applied to first retire its financial obligations and then establish a reserve for its future. Archbishop Demetrios, the Holy Eparchial Synod, the Executive Committee and the Archdiocesan Council reacted decisively to resolve the Archdiocese legacy financial problems discovered in 2017. The Archdiocese overcame its legacy financial challenges by introducing a new leadership team and organizational structure, implementing new policies and procedures to control and govern expenditures, a material reduction in operating cash costs, and the creation of budget that will allow for the dynamic monitoring and management of the Archdiocese finances. Following the 2016 Clergy-Laity Congress, the Archbishop restructured the Executive Committee and new lay leadership at the highest levels, including a new Vice President and Treasurer of the Archdiocesan Council, were installed. His Grace, Bishop Andonios of Phasiane, Chancellor, assumed key administrative responsibilities after the resignation of the former Director of Administration in September 2017. Father Soterios Baroody was appointed as Chief Financial Officer (“CFO”) of the Archdiocese in April 2017. Prior to his appointment, the GOA did not have the position of CFO; by adding this position, a critical change, separating administration and finance, was made in the Archdiocese organizational structure. A new group of financial and legal professionals to serve as members of the Archdiocesan Council’s Standing Audit Committee, was appointed by the Archbishop, with Ms. Elaine Allen serving as Chairperson. The responsibilities of the Audit Committee include assessing the reliability and accuracy of financial reporting; selecting external auditors; meeting with those auditors to review audit plans and results; reviewing internal controls and developing any necessary remediation plans; and monitoring compliance with applicable laws and regulations pertaining to financial controls. The newly constituted Audit Committee and its Chairperson have already made an impact on the operations of the Archdiocese. Archon Lazaros Kircos was appointed by the Archbishop to serve as Chairman of the Archdiocese Finance Committee. Under Archon Kircos’ leadership, the Finance Committee has taken its proper role in the functioning of the Archdiocese, including leading and monitoring of areas involving budgets, expenditures, finance, treasury, and long term strategic planning. The Archdiocese, due to its mission and its ecclesiastical identity, is permanently committed to becoming a world-class, not-for profit institution from an accountability, transparency perspective. Critical to this objective is establishing and enforcing policies and procedures to control and govern expenditures. The work of the Finance Committee has resulted in an immediate positive financial impact on the Archdiocese. In April 2017, with the blessing of His Eminence, Archbishop Demetrios of America, the Archdiocese started the process of improving internal controls by management directive. In furtherance of this objective, the Archdiocese also retained Grant Thornton in 2017 to conduct a thorough, independent review and analysis of the operations of the Archdiocese finance function, and to provide an in-depth, third party view of areas where the finance function, and therefore the Archdiocese, can become more efficient, effective and transparent. In January 2018, the Archdiocese Council, including its Executive, Audit, Legal and Finance Committees, received the Executive Summary of the Grant Thornton Operations Review. The Operations Review makes recommendations on best practices that can be implemented in order to maximize resources and results. This highly technical document will act as a critical tool for the Archdiocese with respect internal controls, practices and procedures. Implementing internal controls is a complex process that must be conducted with care, and external resources will be required. Material reduction in operating cash costs. The Archdiocese reduced approximately $8 million or approximately 25% of annual operating cash expenditures. As a result, the Archdiocese eliminated its former structural operating deficit and is now projected to achieve a balanced budget and generate additional funds. Further, the Archdiocese cumulative accounting deficit from prior years is being reduced. The cost reductions, which are permanent and structural, were achieved primarily by reducing Archdiocesan staff levels, reducing general administrative costs, and implementing new vendor management protocols and controls. Under the leadership of Archbishop Demetrios, His Grace, Bishop Andonios, the Officers and the Finance Committee, a comprehensive and achievable 2018 budget, approved by the Executive Committee, was created and accurately reflects the true financial position of the Archdiocese. The Treasurer and Finance Committee will work with the management of the Archdiocese to monitor variances in the new budget relative to actual performance. This budget process is a first and critical step in establishing a solid foundation for the Archdiocese finances. A summary of the 2018 Budget will be posted on the Archdiocese website in the near future. The Archdiocese has disclosed that it is encumbered by certain legacy obligations resulting from its former financial problems. The Archdiocese has retained professionals to determine the quantum and nature of these liabilities. The Archdiocese also disclosed that certain custodial and restricted accounts were used to fund operations. The Archdiocese will prioritize the expeditious return of funds to the custodial and restricted accounts. The financial stability of the Archdiocese was achieved without any additional burden placed on its parishes. The Holy Eparchial Synod decided to keep the contribution level of the parishes at the 2017 level. The 7.74% increase for 2018, which had already been approved by the 2016 Clergy-Laity Congress, was rescinded, representing a savings of $1.6 million to parishes in 2018. The Archdiocese recognizes and appreciates the continuing strong stewardship by its Parishes. The Finance Committee reports that for 2017, the Archdiocese Total Commitment receipts from its parishes across the country met 100% of the budgeted Total commitment for the sixth consecutive year. In the recent uncertain environment, that result was only achievable through the hard work and dedication of our Metropolitans and their Metropolis Finance Committee members. Our parishes should be assured that considerable efforts described in this announcement towards achieving transparency, accountability and financial stability for the Archdiocese are being implemented. The Archdiocese is deeply indebted to the parishes, and is grateful to God for them. The Archdiocese Council (ARCHCOUNCIL) list is being made possible by the Greek Orthodox Archdiocese Department of Internet Ministries.